BP announced Thursday a $4.5 billion settlement related to its Deepwater Horizon oil spill in April 2010, which released nearly 5 million gallons of crude oil into the Gulf of Mexico. BP announced Thursday that it will pay $4.5 billion in a settlement reached with the United States following one of the worst environmental catastrophes in modern history. The sum includes $1.3 billion in criminal fines, amounting to the largest criminal penalty in U.S. history. BP will also plead guilty to 11 felony counts of misconduct, another felony count of obstruction of Congress and two misdemeanor counts under the Migratory Bird Treaty Act and the Clean Water Act. The oil company’s chairman, Carl-Henric Svanberg, has said, "We believe this resolution is in the best interest of BP and its shareholders. It removes two significant legal risks and allows us to vigorously defend the company against the remaining civil claims." The settlement comes two and a half years after the April 20, 2010 explosion of the Deepwater Horizon oil rig stationed in the Gulf of Mexico 50 miles off the coast of Louisiana, which had drilled on the Macondo Prospect. 11 workers were killed in the explosion, and 17 others were injured. The wellhead was not effectively capped until July 15, and in the interim three months an estimated 4.9 million gallons of crude oil was released into the Gulf. 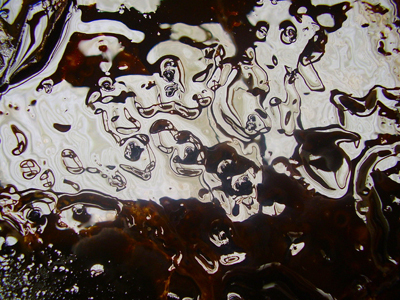 Persistent oil seep, scientifically matched with the oil from the Macondo well, however, continued to flow and was reported as late as March 2012. The spill had serious impacts on marine and coastal habitats, as well as fishing and tourism industries throughout the Gulf Coast. The White House oil spill commission released its final report in January 2011, which officially pointed a finger at BP and its partners, whom they claim to have created the unsafe conditions through a series of cost-saving measures that countered well-safety. A report released in September 2011 found that a defective cement cap installed by BP was the main cause of the massive spill. Transocean, the world’s largest offshore drilling contractor, and Haliburton, an oilfield service contractor, are also implicated in the report. Beyond the fines, an unidentified person associated with the settlement reported that two BP employees will face manslaughter charges in the deaths of the crew members. In April, a former BP engineer was arrested for obstruction of justice for allegedly deleting text messages detailing the company’s response to the spill. The settlement also includes $2.4 billion to the National Fish and Wildlife Foundation, $350 to the National Academy of Sciences and an additional $500 million paid to the Security and Exchange Commission, because the commission accuses the oil company of providing misleading figures of the amount of oil spilled to it’s shareholders. The settlement does not include civil penalties that may be sought under the Clean Water Act, among others, nor any claim brought by the states, businesses and individuals affected by the spill. However, if BP is found guilty of gross negligence, the actual penalty paid by the company could be as high as $20 billion, and the company has already agreed to place $20 billion into a trust fund for damage claims. BP has already paid a total of $42 billion in spill related costs, and it’s stock value has recently gone up, now resting around $40 a share, with most investors confident that company has weathered the worst of the storm. Share your thoughts on this article by posting your comment below or by visiting our Long Island Living discussion forum. Subject: LongIsland.com - Your Name sent you Article details of "BP Announces $4.5 Billion Spill Settlement"